Robert Halepeska, executive vice president of the M.G. and Lillie A. Johnson Foundation, center, and UHV President Vic Morgan, right, stand in front of a security cart and truck purchased with a donation from the foundation. The donation also allowed UHV to purchase a security system and other items for the university security team. Also pictured are Sgt. Travis Gundelach, left, of the UH Police Department; Mike Sylvester, security officer; and Courtney Middleton Sides, UHV senior director of corporate and foundation relations. 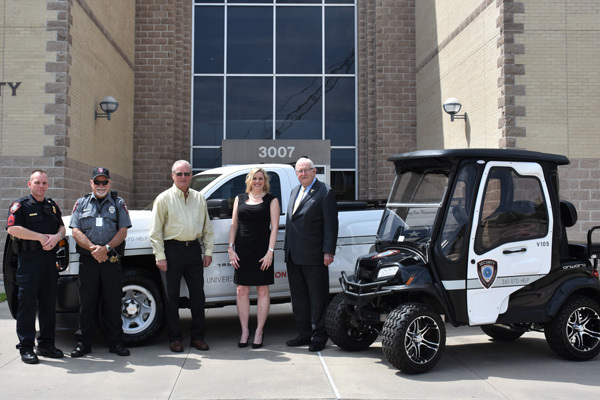 The University of Houston-Victoria campus security team has a new security cart, pickup truck and other items thanks to a donation from the M.G. and Lillie A. Johnson Foundation. The foundation recently donated $50,000 to the security team to help with the safety and security needs on campus. A security cart, pickup truck, safety cones and security system were purchased. 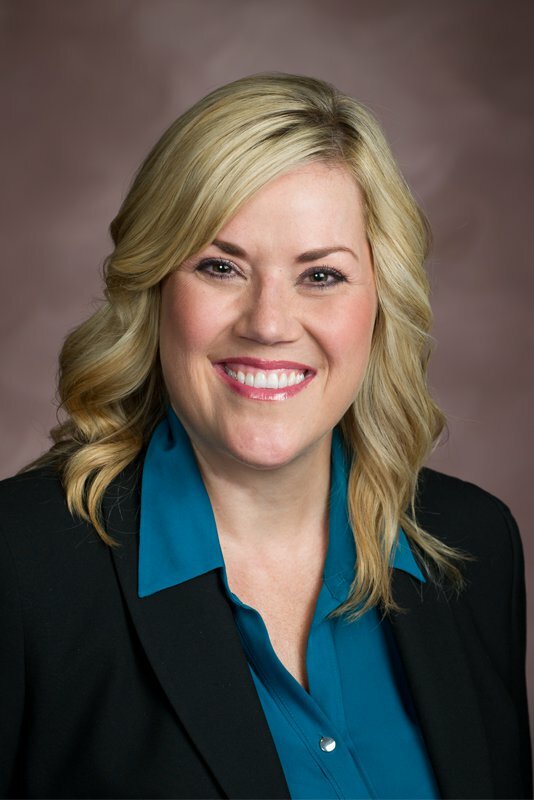 The donation is a much-appreciated and well-timed addition to the UHV security team’s resources, said Travis Gundelach, a UH Police Department sergeant. The university already has a cart that is used at the UHV campus on Ben Wilson Street, but it isn’t safe to take the carts across Houston Highway to Jaguar Village, where the university’s residence halls are located. Both the security cart and truck will help with that. 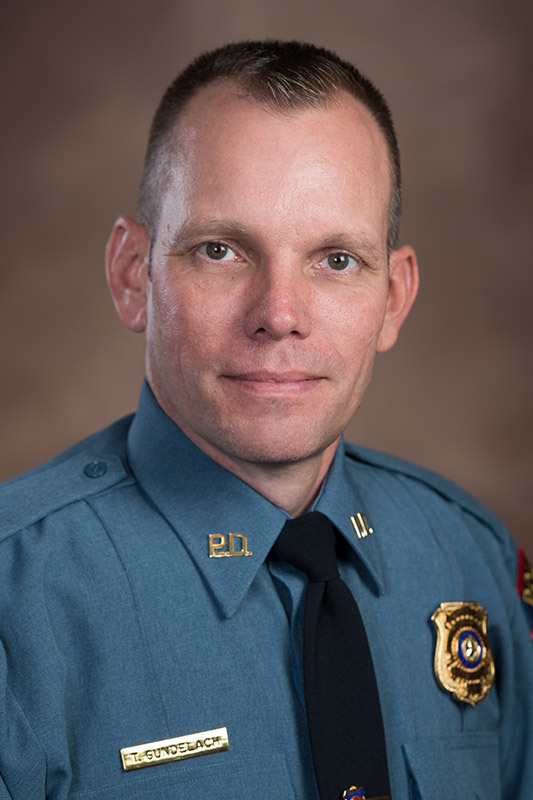 There often are two security officers on duty at one time, and having an additional vehicle allows them to work independently, Gundelach said. One vehicle will be dedicated to the academic buildings, and the other will be used to monitor the residence halls. Having marked security carts also increases safety awareness and visibility on campus.